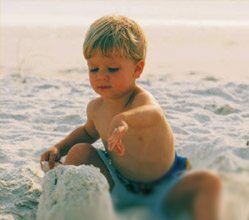 Florida’s Fun Coast is the perfect kid friendly destination for your next Florida family beach vacation. You can enjoy everything from aquatic adventures, attractions & tours, historical sites & beautiful beaches, and family fun for all ages. The area’s most notable cities of Florida’s Fun Coast include: Daytona, Daytona Beach, Palm Coast, Deltona, Port Orange, and New Smyrna Beach. Read more to find out why the Fun Coast should be your next Florida family beach vacation destination. If you are planning on vacationing in the Daytona Beach Area be sure to visit the Daytona Beach Chamber of Commerce website, www.daytonachamber.com. They are considered the portal site to the Daytona Beach Area. Also see floridafuncoast.com for more about a kid friendly Fun Coast. The Fun Coast is a region of Florida, in the United States. 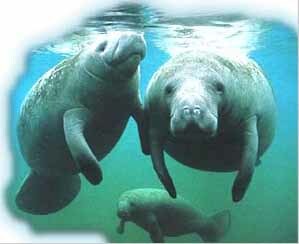 It extends along the Atlantic, or eastern, coast of the state, from Marineland to Canaveral National Seashore, and includes all of Flagler County and Volusia County. It is bounded by the Space Coast on the south and by the First Coast on the north. It is bounded by the Central Florida region on the west, and by the Atlantic Ocean on the east. With super water rides such as; Blackbeard’s Revenge – Climb a 62 foot tower and slide into a tunnel of winding darkness on a tube! Panama Jacks’ – 3 slides on one tower! Take a trip down The Canyon, The Cave or The Cavern! Adventure Mountain – Speed your way down through 2 sloping slaloms and splash down into a cool pool of water. (*This slide has a height requirement of 42″ in order to ride*) Pelican’s Drift (“Lazy River”) – Sit back and relax in your tube as you drift along Pelican’s Drift around Castaway Bay. The Wave Pool – 500,000 gallons of water to splash around! Don’t get tossed over! Kraken’s Conquest – The Lagoon’s newest water ride it is a ProRacer series speed slide where you can race on one of 4 lanes of the 55 foot tower to the bottom! (*This slide has a height requirement of 42″ in order to ride*) Castaway Bay – A large themed play structure with 4 slides for the kids. Water shooting nozzles, climbing nets and a bucket that dumps 1000 gallons of water every 2 minutes! And With great dry rides too such as; Grand Prix Go-Kart Raceway, 18 Holes of Miniature Golf, Lazer Runner Lazer Tag, Rock Wall, Island Hopper, Carousel and the MEGA Arcade! What kid doesn’t like chocolate? Better yet, what human doesn’t enjoy indulging in the most famous treat in the world? This fascinating chocolate factory is known for high quality, handmade chocolates made fresh every day. Take a free, guided 30-minute tour through the chocolate-making process and learn what makes their chocolate creations so good! Angell & Phelps recently made the list of TripAdvisors top 10 Sweetest Attractions in the U.S.! Tours begin at 10: a.m. – 11 a.m. 1:00 p.m.- 2:00 p.m.- 3:00 p.m. and 4:00 p.m. Monday through Friday. Closed Sunday. Located just 15 minutes from the Daytona Beach area, this new facility features snakes from all over the world including a 14-ft python, 12-ft king cobra and a live snake-venom extraction program presented twice daily. Enjoy the nature trail where alligators, tortoises, iguanas and turtles can be viewed up-close in their natural environment. The facility also offers a unique gift shop and picnic facility. 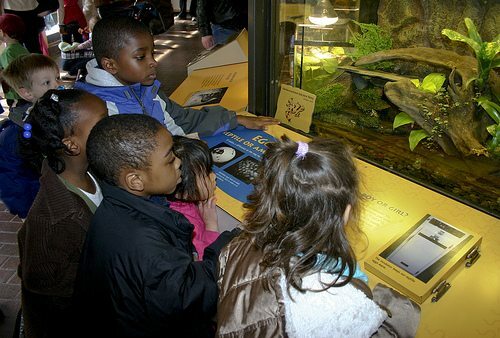 This center is one of only a handful of locations nationwide where visitors can observe venom extraction! Open Thursday – Sunday 10 a.m. – 5 p.m. adult admission is $8.50; children 4-17 $5.50; seniors $5.50; children under 3 are free. Call for group rates. Cruise along the Intracoastal Waterway and you will have a chance to see dolphins, manatees, turtles, egrets, pelicans and more in their natural environment along with the Ponce de Leon Inlet Lighthouse and many beautiful waterfront estates. Bring your camera! Indoor and outdoor seating. U.S. Coast Guard certified. You’ll be entertained with local history and folklore. Sunset cruises also available. You can also eat at tropical Inlet Harbor Restaurant & Marina after your cruise. Private charters available. Onboard restrooms. Departing daily from the Inlet Harbor Restaurant & Marina in scenic Ponce Inlet. beaching it on Florida’s Fun Coast! Daytona Beach; Spend a day relaxing on “The World’s Most Famous Beach” and get away from it all. 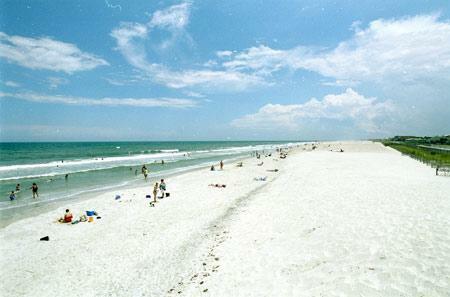 Daytona has 23 miles of sandy, white beaches that are open to pedestrians 24/7 with free access! Cars are even permitted in designated areas of the beach from sunrise to sunset, tidal conditions permitting. Visit Daytona Beach and find out why people love to vacation here. Click here for a map detailing the area’s vehicle-accessible and pedestrian-only beach areas. The beaches of the Daytona Beach and New Smyrna Beach areas offer breathtaking beauty and water related fun! At low tide, the beach is up to 500 feet wide. It’s easy to see why Florida’s Fun Coast beaches are considered among the best in the world. Whether your day at the beach is to relax and read a book; cast a line into the surf; build sand castles with the children; or cruise along the shoreline with the top down, Volusia County beaches can accommodate your desired experience. Click here for information on Florida’s Fun Coast Beaches. These restaurants were voted the best kid friendly places to eat by users of the Urbanspoon.com website. Click on each one to read more about them. The Daytona Beach Regency Resort is an all-suite beachfront resort located a half-block from the boardwalk and minutes from the Daytona International Speedway. This oceanfront hotel is near the Boardwalk Amusement area, Daytona Beach Pier and Ocean Walk Village. They are approximately five miles from the Daytona Beach International Airport and Daytona International Speedway. Local attractions include Daytona International Speedway, Daytona USA Motorsports Attraction and The most Famous Beach in the World. Hotel amenities include Kids Eat Free, outdoor pool, on-site Guest self-laundry facilities (washer/dryer), and Health/Fitness center on-site. All rooms include high speed Internet, TVs, iron and ironing boards, coffeemakers, and hairdryers. The Fountain Beach Resort Daytona Beach is a beachfront property located just two blocks from the Boardwalk and Main Street pier where one can find shops, restaurants and more. The oceanfront, Art Deco-style Wyndham Ocean Walk is located in a traffic-free beach area, a quarter-mile from Adventure Landing. Condo-style rooms feature fully equipped kitchens. There are hundreds more wonderful places to stay while on your Florida family beach vacation on the Fun Coast. If you’ve been to Florida’s Fun Coast on a family beach vacation please leave me a comment, I’d love to hear about your adventures!